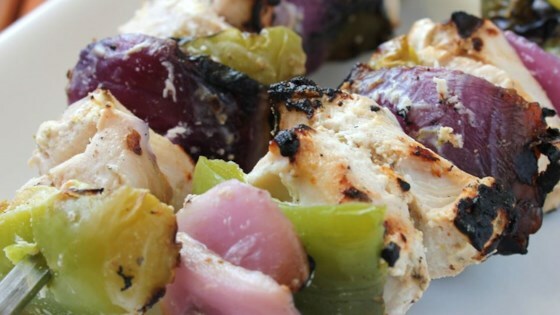 "This is a chicken kabob recipe that I would love to share! Plan to marinate for 3 hours. Serve with Greek rice!"